15 Best Ways on How to Soundproof a Door That Actually WORK! Blog 15 Best Ways on How to Soundproof a Door That Actually WORK! 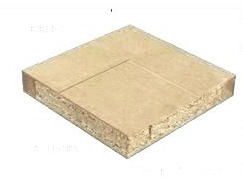 The most Important step when soundproofing any room in your home or office is to make sure the door is soundproof. The door is, of course, the biggest opening in most places that anyone would attempt to soundproof. How to Soundproof a Door? The best way to soundproof a door in your home or office would be to install a solid core door. Also, attaching a rubber door sweep that is tight enough on the floor will seal the lower gap completely. There are many other ways to soundproof a door since installing a solid core door can be expensive; especially for people on a low soundproofing budget. So, that being said, I will think of every single way on how to soundproof a door so you can make a sound decision on which steps are best for you. I was going to skip writing an article about how to soundproof a door because there is already some great information out there online. But I did realize there is some missing information that could prove very useful in your soundproofing efforts. This is my personal list of fifteen ways on how to soundproof a door. I will keep updating this article as new ideas come to mind, or if any of you reading this article think of a way to soundproof a door that I might have missed. How to soundproof a door with a solid core door. As I mentioned above, installing a solid core door is one of the easiest ways to soundproof the biggest opening in a room. The only problem is that it is also one of the most expensive ways to soundproof a door so it might prove to be a bit too expensive for some people. I will explain why swapping your hollow core door for a solid core door is an idea worth considering. Most homes today have hollow core door throughout their home. Most of the time the only solid core door is either the front door or back door of the house leading outside. The difference between both types of doors is in its name. A hollow core door consists of a hollow door, usually made of thin sheets of wood. You know its a hollow core just by knocking on the door. If you hear an echo, it is a hollow core door. Another easy way to determine if the door is hollow is the weight of the door. If you knock on the door and you feel it wobble then its indeed not a solid door. Go knock on the doors within your home and find out for yourself if you think they are solid or hollow. A solid core door is the opposite of a hollow core door as it is completely solid through and through. A solid door will make it much harder for sound to be able to pass through. Like I stated above, a solid core door are the doors that usually enters your house from the outside; and when you knock on them, they should not echo at all. Some people think that a solid door is usually made of steel, but that is not the case. There are many different types of solid doors made of wood that wouldn’t seem out of place inside your home. Attaching a door sweep on the bottom of the door is an excellent first step when you’re figuring out how to soundproof a door. Almost every door inside a home leading from room to room has a relatively large gap on the bottom. There is no point even to install a solid core door if you’re going to leave an open gap where sound can easily travel through. A door sweep will seal that bottom gap and ensure that you have minimal noise coming in from the other room. Noise reduction isn’t the only advantage a door sweep adds to a room you’re soundproofing; they have a few more benefits. One advantage of having a door sweep is that it keeps bugs on the other side of the door. A third reason for having a door sweep is for temperature control. The reason why temperature slowly drop when turning the air conditioner on during the summer months is due to cracks and gaps of the doors. Rubber door sweeps can prevent the loss of hot air within a room. If you choose to install a door sweep, you need to understand that door sweeps are not as simple to install as weatherstripping tapes. You will most likely need to drill screws in the door sweep to attach it to the bottom of the door. The door sweep I recommend is the M-D Building Products Commercial Grade Door Sweep from Amazon. This particular door sweep has a metal section where it screws into the door. It also has a hard rubber bottom to ensure that even dust won’t be able to get through to the next room. Here is a YouTube video on how to install a door sweep for noise reduction. One of the best ways to soundproof a wobbling door is by using weather strips yo make it a tight close. You can use all sorts of different types of weather strips. Most people use weatherstrips as an air seal around windows, but it works very well to help block noise around a door. The weather strip I recommend is the Soundproof Weather Stripping from Amazon. This weatherstrip is self-adhesive. And that is a must-have for this type of project. There is even a door sweep included in this soundproofing kit as a bonus! The very first step before installing the weather strip is to properly clean the area where you will be connecting the strip. Make sure the surface is clean and dry before applying the soundproof strip. Just peel off a small section of the strip by exposing the self-adhesive surface, and stick it on the inside of the door frame from the top corner. I find the best place to install the strip is where the door makes contact to the door frame while closed. Placing the weather strip in the area will make the door squish the strip and forming an airtight seal around the door. One bonus I want to mention regarding this type of door soundproofing method is that you will never hear the door slam thanks to the weather strip. A vinyl door gasket is very similar to a regular weatherstrip, but they tend to be a bit more expensive. I did find an inexpensive door gasket however on Amazon that works reasonably well. Door gaskets are typically used around a car door to keep water, moisture, and noise from entering the cabin. They can also be used to seal the gaps at the door jambs and the header. These types or vinyl door gaskets are also good at blocking light and moisture from entering the room. The installation process is very similar to the weatherstrip. All you need to do is to follow the steps above, and you should be well on the way in having a soundproof door. 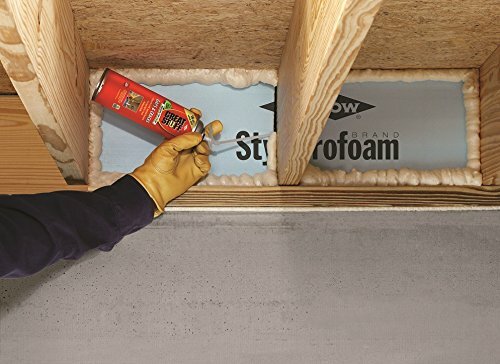 If you still have a few tiny cracks and gaps around your door, even after installing a vinyl door gasket or a self-adhesive weatherstrip, then your next step is to add some soundproofing sealant. 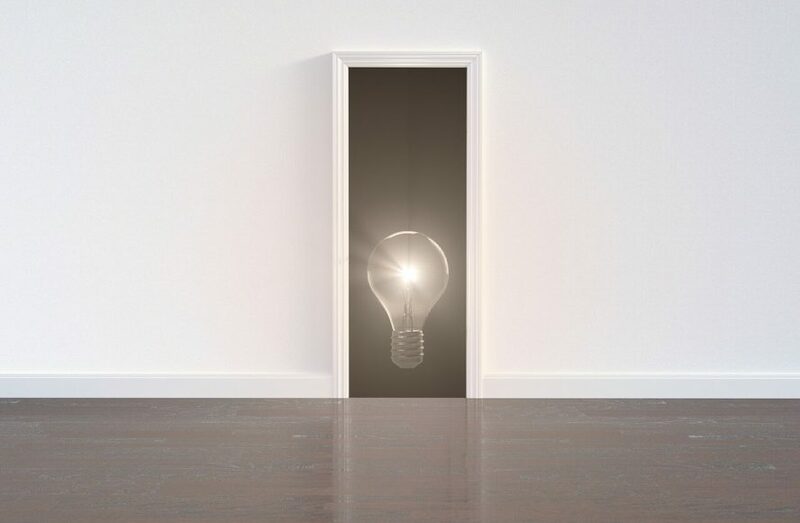 To know for sure if you have a few cracks letting the sound come into the room all you need to do is turn the lights in whatever room is on the opposite side of the door you’re attempting to soundproof. Next, you will need to go into the room where you’re soundproofing the door. Close the door and turn off the lights. After doing this, you should be able to see the light coming into the dark room through the cracks. If you see the light coming through, you could quickly seal the small crack with some soundproofing sealant. I would actually try this before I install any type of weatherstrip around the door. Cracks and gaps around doors are more prevalent in older homes. Older homes suffer warping and shifting of the foundation, but can also happen in newer homes. Sealing the gaps and cracks is relatively simple. I recommend using this insulating sealant from Green Glue. Green glue is one of the cheapest and most effective soundproofing compounds on the market today. Any types of cracks between walls, ceilings, and doors compromise the sound isolation of any room. Cracks and gaps allow noise to penetrate into adjoining rooms. Simply adding Green Glue Noiseproofing Sealant to seal the cracks along the door frame can reduce noise transmission by one hundred times or more. You can apply Green Glue Noiseproofing Sealant (My Review) as easily as any conventional calking material. The noise proofing sealant will fit into a quart-sized calking gun making it easy to apply along the edge of the door frame. You can also paint the soundproof sealant when dry. What’s nice with the line of Green Glue products is that they exceed LEED green building requirements, are low V.O.C. and very low odor. You can easily clean it with soap and water while the sealant is still wet. Some people will recommend crack sealants in the form of a spray. These types of sealants are to close more significant 1/2″ gaps, and not a tenth of an inch. You should avoid using spray foam to seal a tiny gap along a door and stick with Green Glue Sealant. I promise I don’t have any stocks in the Green Glue company. I love their products and know for a fact that they actually work. Sound Isolating padding tape is another cheap way of sealing any cracks along the edge of the door. Padding tape can also act as an alternative to weatherstrips or door gaskets. The padding tape is self-adhesive and commonly used in wallboard installation. You can make use of it while trying to figure out how to soundproof a door. Sound isolation padding breaks the sound path. It is handy and inexpensive for reducing sound transfer through walls and door frame gaps. There are many cheap soundproof blankets on the market. Most soundproof blankets have built-in fiberglass fibers which are known to be a great sound absorber. There are a few ways you can go about utilizing a soundproof blanket in hopes of soundproofing a door. Many people use moving blankets which can be a cheaper alternative than buying specifically made soundproof blankets. The biggest problem I have with moving blankets for soundproofing a door is its size and the lack of grommets. The size can be a factor because you would probably have a hard time finding a moving blanket the same size as a doorway. I find the look of a soundproof blanket hanging in front of a door a bit ugly. If the soundproof door is hidden, then it should be fine. When you’re soundproofing a room for work or a recording studio then utilizing a soundproof blanket is a good idea; because it also absorbs some of the echoes from the room on the other side. 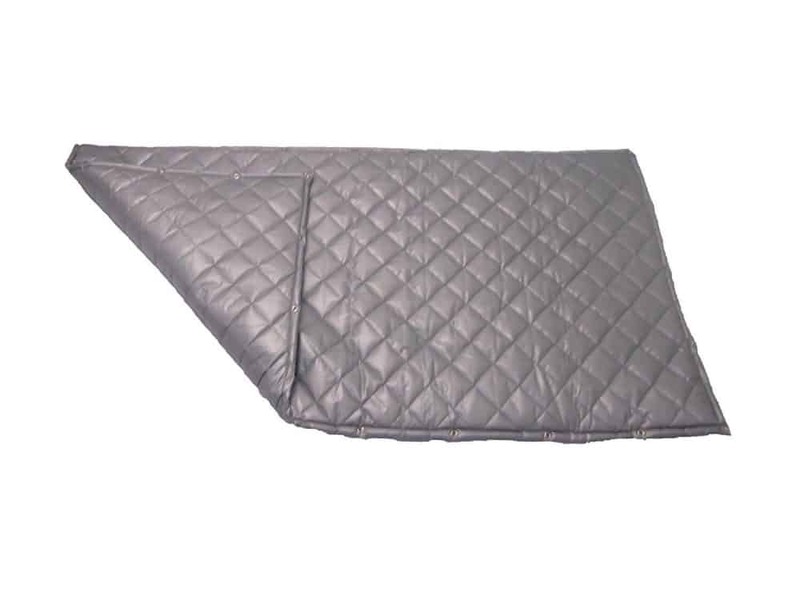 The Soundproof Blanket I would use if I wanted to figure out how to soundproof a door would be the Double Faced Quilted Fiberglas Blanket which is two inches thick. This particular blanket is not cheap, but when properly installed it would be the only thing you would need to soundproof a door. You will need to be creative as to how you will hang it, so it has a tight seal, but it is very doable. The way I would hang the blanket is a bit different from anyone else I’ve seen online because I wouldn’t hang the blanket from the grommets (if the blanket has grommets). I would attach the blanket using velcro! You’re probably wondering how the heck would velcro hold a heavy soundproof blanket. Keep reading, and I will show you how. Firstly, the velcro that will work for this type of project is the XFasten Adhesive Hook and Loop, Black, 1-Inch x 10-Foot Industrial Grade and Wear and Tear Resistant. You need to be careful as to what type of double-sided self-adhesive velcro tape you use since most of them will not stick very well to fabric surfaces. This velcro is made for metal and fabric surfaces. You will need to buy a few rolls because depending on the length of the roll. The first step will be to stick one side to the velcro tape on the entire length of the molding around the door frame. Stick the velcro on both sides and the top of the door. Make sure all three sides join each other so it is one perfect rectangle. Of course, you won’t have any velcro on the bottom, but you can place something on the floor if you feel the soundproof blanket doesn’t have a tight seal for the bottom of the doorway. Now do the same on the soundproof blanket. Each side you will stick the opposite side of the velcro that you have on the door molding, except the bottom side. You should have all three sides of the blanket and door frame molding with opposite sides of the velcro tape. The rough side on the molding and the soft side on the blanket. It is now time to stick both sides of velcro together. You now have a soundproof blanket that is giving you a tight seal around your soundproof doorway. This is one of the most expensive processes but it does work wonders. Most people use these types of soundproof blankets to soundproof a window. You can buy them in a few different sizes to match the size of windows and doors. As with soundproof blankets, soundproof curtains can work reasonably well in soundproofing a doorway; but only if you install the curtain correctly. The problem with a soundproof curtain is that you will most likely leave it hanging in front of the door, and that would leave gaps on all sides of the door. You can utilize the same process as I suggested for installing the soundproof blanket to make a tight seal around the door with the curtain. The main reason why I also added the soundproof curtains even though I find the soundproof blanket idea much better is that a set of soundproof curtains are much cheaper. You can also buy a one-sided curtain, so you’re not left with an extra side that you have no use for. Another nice trick is to sow the two sides of the soundproof curtains together to double the thickness. You could bring the curtains to a seamstress in case you don’t have a sewing machine. A seamstress can do that for you for just a few dollars. Doubling the thickness will block noise more efficiently and using only one side of the curtain. The soundproof curtains I would choose for soundproofing a door would be the NICETOWN Full Shading Curtains for Windows, Super Heavy-Duty Black Lined Blackout Curtains. These curtains are 52″ wide, and 95″ in length. And with these curtains sowed together to double the thickness you should have a pretty good sound barrier between the two rooms. This process might be a bit more work, but it is also much cheaper than a fiberglass soundproof blanket. If you’re only going to be temporarily soundproofing a door, then I would go with the curtains. But if this is a long-term soundproof job, then the soundproof blanket would be my choice. One thing you can do to make a room more soundproof is to dampen the noise from the room on the other side of the soundproof door. If you’re successful in finding out how to soundproof a door using some of these soundproofing tips, then you’ll find the amount of noise the door blocks is relative to the amount of sound that is coming from the other room. If you have a room that does not have much in term of sound absorbers like furniture, large area rugs, and pictures on the walls; your soundproof door will have a harder time blocking the echoes coming from the other room. If you first focus on reducing the amount of noise coming from the other room, then you won’t need to use as much material to soundproof the door. The best way to reduce echo in a room is by having an area rug. Sound bounces off flat surfaces and uses the floor, walls, and ceiling to create echoes. If you place a large area rug on the floor and paintings on the walls, you will have a much quieter room on the other side of the soundproof doorway. I’ve pretty much talked about this in number nine, but you may decide to place a rug near the doorway to reduce the amount of sound coming from the other side. Using carpets as sound absorbers not only deadens the sound but will also make a room appear much cozier versus cold hardwood floors or ceramic tiles. Rugs, particularly the thick and heavy ones will absorb echoes and consequently, help in decreasing the impact of noise. Rugs may, however not be as effective as other soundproofing methods but they will still prove useful, even if the effects are minimal. Every bit helps, especially when you’re on a budget. Place one rug on both sides of the door to increase the soundproofing effectiveness. Try finding a thick runner you could slide underneath the door. A runner will do a better job than an oddly shaped rug when sealing the bottom of the door. This will also reduce the amount of noise that will bounce off the doorway. 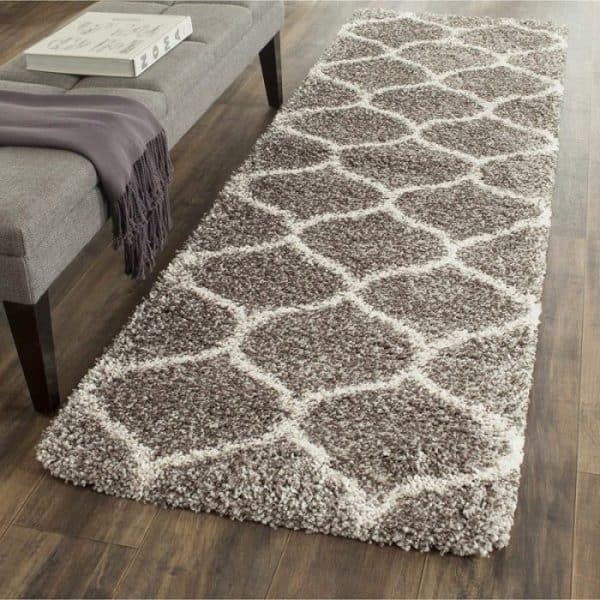 There is no point for me to suggest which rug you should buy because there are so many different shapes and colors you can choose. We all have different taste. The only thing I suggest is buying a thick rug. A thick rug will do a much better job at absorbing sound. The texture of the rug will also play a role in how good they absorb sound. Installing a door seal kit is another option that can end up saving you a lot of money when comparing the alternatives. What a soundproof door seal kit does is it seals all the air gaps around solid core doors. You need to make sure you have a solid core door for optimum soundproofing results. You can still install a door seal kit even if you have a hollow core door. I would suggest placing a soundproof blanket or curtain in conjunction with the seal kit if the door is hollow. At least this way you will not only have sealed the gaps and cracks, but you will also have added some mass which will help block and absorb sound. Mass loading vinyl is typically a product people use in an attempt to soundproof their vehicle. The mass loading vinyl I always go back to is the Fatmat Self-Adhesive Rattle Trap Sound Deadner. As I said, this type of material is best used in cars and trucks. The primary feature is absorbing vibrations which are where a lot of road noise comes from while driving. This material would work well if you have a problem with trying to deaden bass music inside your home. I have never tried this door soundproofing option, but I thought I would mention it because I’ve heard of some people doing this. All you need to do is stick the Fatmat on the outside of the soundproof door. Make sure you apply it to the entire surface for maximum sound deadening. If you do decide to go this route, then I would do a double layer for better results. Using a max loading vinyl to soundproof a door is a bit more expensive than using a soundproof blanket and it is also not as effective. Foam Panels for soundproofing a door. There are many expensive options on how to soundproof a door. There are some alternatives you can try to have some of the same soundproofing benefits without some of the cost. 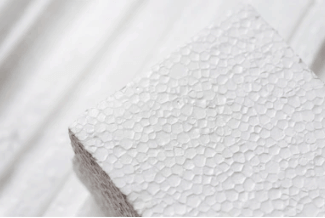 Like soundproof blankets and curtains, sound absorbing foam panels will increase the air resistance and will, in turn, reduce the amplitude of sound waves. As a result, the sound absorbing foam panels will lower the amount of sound that carries through them. Using command strips is the best way to install these types of foam panels. Click the link for my full article about how to install sound absorbing panels without damaging a wall. A suggestion that I rarely hear in the soundproofing industry is utilizing soundproof paint to help in blocking noise. One of the significant reason sound deadening paint is mostly forgotten is because it only addresses the mid-range frequencies. For example, a mid-range is the frequency of regular speech. The problem with soundproof paint is that it does not help block the high frequencies (like the noise of a flute). It doesn’t do much for low frequencies either (like air crafts and outside traffic noise). Soundproof paint is more noticeable on a large flat surface. This paint is known to produce speckled or raised surface that will lead to substantial texture. To achieve maximum sound deadening using soundproof paint, you will need to apply multiple coats. If all you want to reduce is conversational noise coming from another room, then soundproof paint could be an inexpensive alternative. You will, however, need to couple this with other soundproofing methods on this list to achieve the desired results. Spray Foam used to make a solid core door. Ever wonder if you can turn a hollow core door into a solid core door? Probably not because it’s not something that is heavily talked about when people talk about solid core doors. If you are on a limited budget, there are still ways to be creative with good soundproofing results. The only thing you will need to buy to turn a hollow core door into a solid core door is a few cans of insulation spray foam. The first step is to drill a few holes on the edges of the door for best results. The holes should be the size of the straw that comes with the can of spray foam (usually 1/4″ drill bit). Start low on the door and let the spray foam expand and solidify. Add more spray foam every twelve inches until you’ve reached the top of the door. Plug each hole with tape so the foam does not have the chance to expand outward. The spray foam should make its way toward the middle of the door. You will get a better fill inside the hollow door if you can use a longer straw (tube) that is usually supplied with the spray can. A longer tube will make the task of filling as much of the door with foam much easier. The idea is to fill the door as completely as possible. One tip I would suggest is that you should remove the lock mechanism and knobs temporarily. Do this to avoid gumming up the hardware. This would also provide a way of viewing inside the door to see how well you’re doing. You will probably need to do from four to six different applications. You will want to avoid any air voids as much as possible. Take your time and be patient while applying the insulation spray foam. So there you have it, by following a few of these steps you now know how to soundproof a door. All you need to do is look at how much you’re willing to spend and go from there. Of course, there are better ways of soundproofing a door than others. The choice you make will most likely depend as to why your soundproofing the door in the first place; and how much noise you’re attempting to block. Let me know if you know of any other way of soundproofing a doorway so I can add it to my list. I appreciate your impute because even though I know a great deal about soundproofing, there is always more we can all learn. Check out our new YouTube Channel for some awesome soundproofing videos and DIYs. Don’t forget to subscribe to the channel while you’re there.